Mold: What Is It and How Should It Be Handled? How Should Mold Be Handle? Many business owners fear disasters of all kinds – pipes bursting, power outages, floods, etc. – but one of the biggest fears may be mold or more specifically black mold. This type of fungus is often referred to as toxic, which isn't always the case, and it is often accompanied with panic-induced visions of skulls and crossbones chanting bankruptcy. However, mold is a problem that can be remediated, and if you are a business owner that conducts routine inspections, most likely any fungi problem is minimal. While that little tidbit may put your mind at ease, understanding what mold is and how it should be handled may reduce the level of panic you feel if you ever do experience an infestation. As a fungus, mold is destructive because it invades porous and nonporous materials alike. While nonporous items are easy to clean, porous items are often destroyed. However, it should be noted that colonization or infestations that require mold cleanup are not the same as spores which are ever-present. Some remediation companies proudly declare that they remove all mold from your facility, but this is not possible because the minute you open a door, window or walk through your building mold spores will follow. However, spores should not be feared nearly as much as colonies. While black mold is the species that usually has business owners on edge, all growths should warrant a level of concern and precaution. Color alone does not equate to danger. The mold must be tested to understand the species and precautions merited. Mold likely develops from a moisture problem. Therefore, the environment is usually damp, humid and poorly ventilated. Since some molds can be toxic, it is best to hire a mold remediation specialist in the Hamilton Mill, GA, area to handle the removal process. While black mold is a scary phrase, it does not signify the end of a business. Certified professionals can help you restore your property and get back to work. Document Restoration 101: What Can It Do for You? Even in this high-tech day and age, many companies keep paper versions of their most important documents. Unfortunately, this can pose a high risk when it comes to flood and water damage. While water damage is devastating for furniture and fixtures, it’s absolutely catastrophic for paper documents. Or is it? Document restoration is one way that Buford, GA, businesses can return important documents and photographs to near-new status. Even maps and blueprints can be restored with the right expert using proper methods. There are two main steps to document restoration - cleaning and document drying. The latter is straight forward, with experts using special dryers, sieves and vacuum tools to remove water from critical documents and leave them in their best shape. Cleaning, on the other hand, is a specialty that only the best firms can handle properly. That process involves using gamma irradiation to remove mold and mildew before it has a chance to destroy your documents down the road. Many paper restoration companies also offer digitization services, transforming your paper documents into digital files. If your company is prone to flooding, or if you simply want a backup, this is a good service to look for in any paper restoration provider. Even in our modern era, paper documents still play a big role. When water gets into the mix, however, important information can be lost forever. If water has wreaked havoc on your most important maps, photos, books or plain documents, connect with an experienced SERVPRO document restoration specialist to learn how you can make things like new. Sewage backup and spillage is an unpleasant experience for homeowners. It's also hazardous when you consider the water is filled with bacteria, viruses, and parasites. 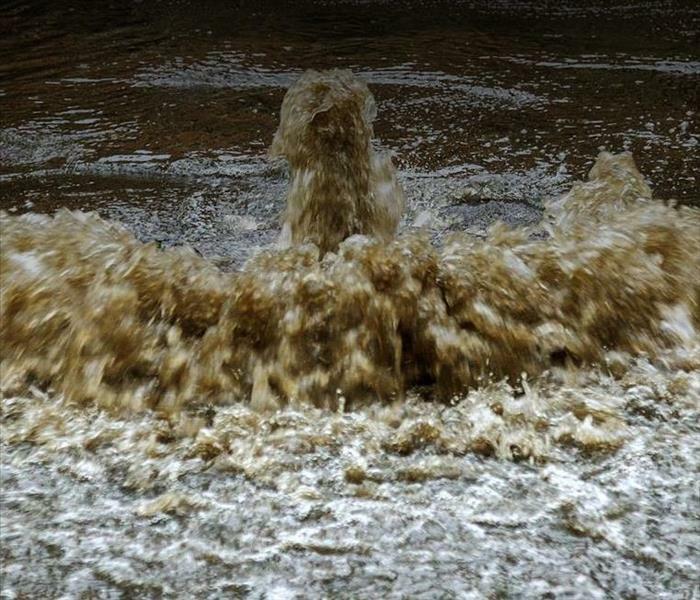 Sewage damage in Suwanee, GA, is due to issues ranging from a flooded toilet to a collapsed pipe. You may be able to handle a small sewer cleanup on your own by following the steps outlined below. Otherwise, you may need the services of a water damage and restoration company. You can't start the sewer cleanup until the water is removed from the floor. A wet/dry vacuum helps with this step. Are there excessive amounts of water? Use a sump pump instead. Other items must be placed in trash bags and removed from your house. These include carpet, toys, books, cosmetics, paper products, and mattresses. These effects are contaminated and can pose a health threat. Now, it's time to get rid of bacteria on your floors and walls. First, sweep up and remove solid objects off the floor. Next, fill a bucket up with ½ a cup of bleach per one gallon of clean water. Mop the floor then wipe the surfaces with sponges. Sewage backup and spills are an emergency that requires immediate attention. You probably can handle a simple sewer cleanup. However, when dealing with raw sewage it's best to let a sewage cleanup and restoration company restore your home in a safe manner. 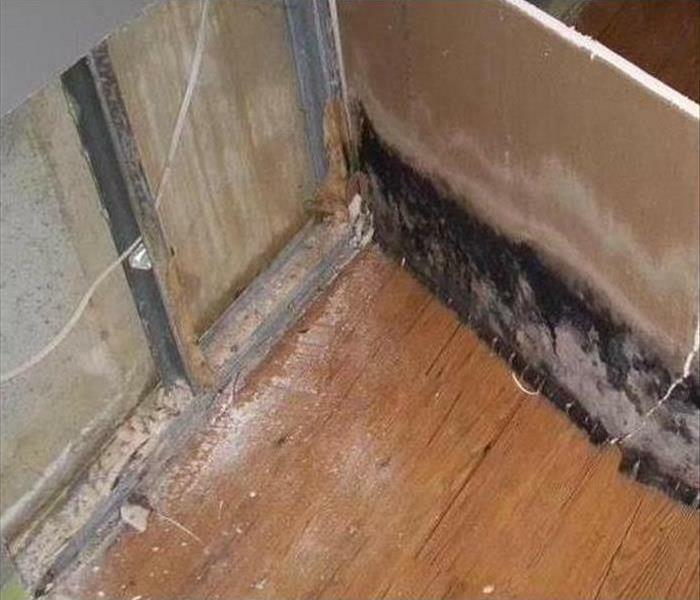 Black mold is a particularly difficult issue that many homeowners deal with in Buford, GA. 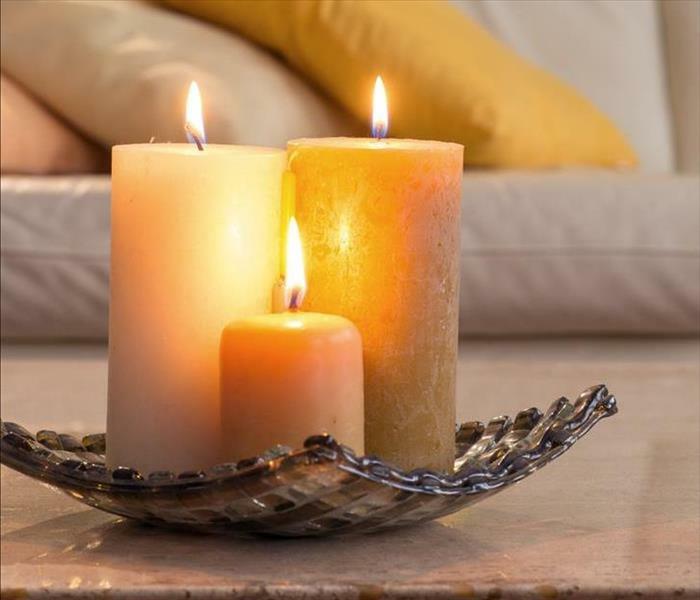 It is often associated with a dark color and musty odor and can cause devastating amounts of damage to a home. However, learning about this fungus growth can allow homeowners to take steps to prevent and prepare for its effects. How Quickly Does It Grow? Although the amount of time it takes for black mold to grow depends on the individual circumstances, it can spread in a matter of days. If an infection has already taken hold, there are things you can do to minimize its impact. Keeping your home dry and reducing airflow in your house when possible can prevent the spores from infecting the rest of your property. What Is the Remediation Process? There are various steps in the process of mold remediation, and it’s often wise to contact mold damage restoration experts to handle the job. After the area affected is dry, the infestation is contained and affected items are removed from the home and cleaned. Then, restoration begins. The time it takes to complete the remediation process may depend on the amount and type of damage within a home. Prevention is often important when it comes to containing spores, and homeowners can use their knowledge about black mold to control it. In order to take precautionary steps, it’s helpful to understand the causes, how quickly it can spread and what the mold cleanup process entails. 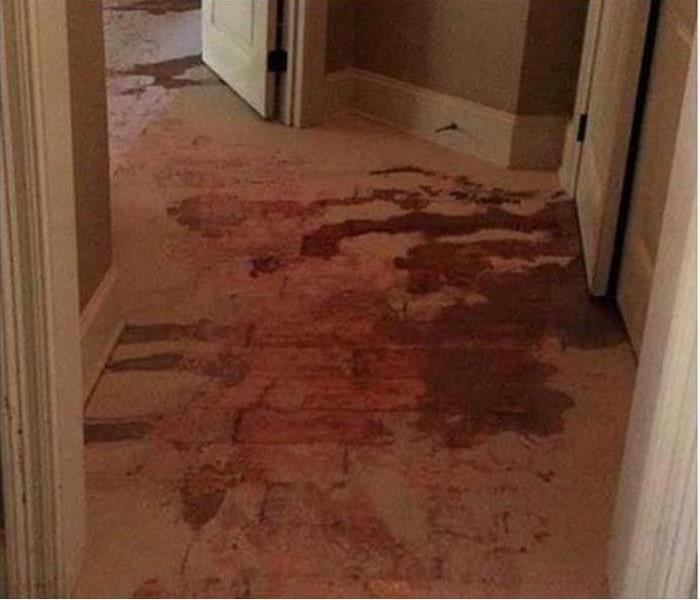 For any disaster cleanup call SERVPRO of Buford/Suwanee/Hamilton Mill in Suwanne, GA.
It’s not uncommon for Suwanee,GA residents to experience mishaps, misfortunes and minor incidents at home. You’ve probably had a few of your own. But when a catastrophe such as a flood or fire occurs in your house, you desperately need a professional you can trust. There are lots of places to choose from, but you want some who can respond Faster to Any Size Disaster. SERVPRO fits that description and has what it takes to help you recover from a difficult situation. Other professional restoration companies can make promises about thorough cleanup, but you need a quick response so you can initiate an insurance claim and get your life back in order. SERVPRO has a local office, so its staff can readily assist you. That and other factors set this experienced, skilled emergency response company apart from the competition. Equipped to handle even the largest, most extensive disasters. Have the skill and expertise to do a thorough job. Some companies only have the resources to help with minor emergency issues at your home. Other places won’t make your smaller problems a priority and will only handle the most serious problems. SERVPRO can tackle all of your disaster cleanup and restoration needs. SERVPRO technicians have helped numerous customers like you with the most urgent needs. The staff is well-trained and also has the right equipment. You can trust the team to decide whether to restore or replace the affected areas of your home. 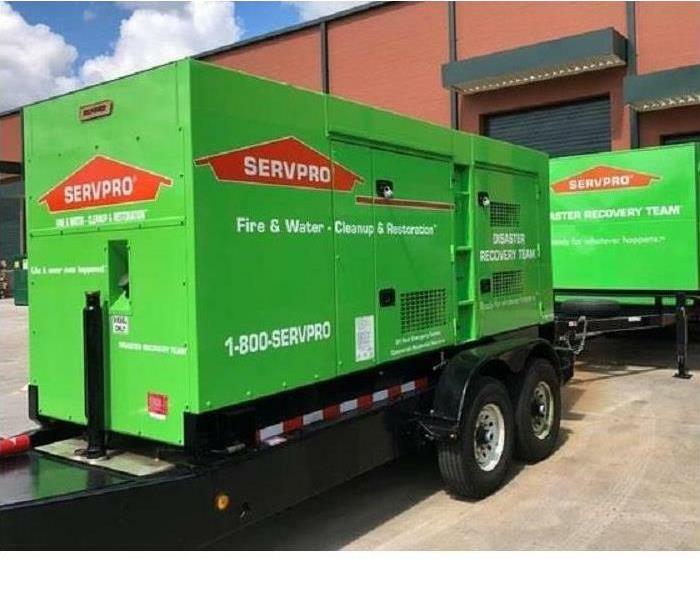 SERVPRO is a national brand, but it can arrive Faster to Any Size Disaster at your home because it has an office near you. You won’t have to wait for days or weeks to the professionals to assess your damage and get to work. It should be clear why SERVPRO is the right choice for a disaster cleanup professional. They can come Faster to Any Size Disaster and can help get you back on your feet. The growth of black mold in home can lead to the weakening of the house foundation and structures. As a fungus bacteria, mold is sometimes undetectable to the naked eye immediately. Mold is of different types- black, green, brown, white, purple, or orange. Black mold is the most common. The presence of moisture promotes mold growth, so it will help to ask a mold damage and restoration company to begin a remediation and mold removal process not more than two days after water damage in your house. Mold and mildew can grow on the moisturized or damp places in your home including the carpets, wooden floor, wallpaper, basement, ceiling tiles, HVAC system, bathroom floor, or even the insulation materials. You are most likely to have mold growth in your residence if you sense a smell odor. Homeowners should consult a commercial mold damage technician to assess the house for the risks of mold and mildew. A wet environment can occur because of a leak in the basement or roof, water overflow if you accidentally leave the taps running, or floods during the rainy season. High humidity levels can lead to mold damage and smelly odor too. Mold removal, assessment, and mitigation procedures involve the inspection of your residence to find out the places fungi bacteria grows. It will require specialized mold damage control technology, infrared video cameras, experience, and skills to locate the mold growth behind the wall. Your restoration company will do a water cleanup and use dehumidifiers to ensure that the home humidity level is below 50-55%. Further, the professional mold mitigation staff can inspect the gutters, the clogged sewer system, broken pipes, and the basement leaks to seal the points contributing to mold growth behind the wall. First, the mold in home mitigation professional will isolate the dry rot on wood and stop the spread of fungus to the uncontaminated areas. The use of physical barriers and negative air pressure as well as putting off the fans and the HVAC installations is also necessary. The restoration company performs a deodorization procedure, which captures any microscopic mold particles to eliminate the smelly odor, dry rot, and mold in home. The technician can use HEPA vacuuming equipment and air scrubbers in the deodorization process. As black mold and dry rot can damage your household property, it will be necessary to clean all the mold-infested personal items to avoid fungus infestation in the future. The cleaning, sanitization, and deodorization can ensure there is no more smelly odor or mold growth at home. Your commercial mold damage and home restoration company will eventually embark on the remediation of the previously flooded home. The restoration staff will repair the areas destroyed by black mold spores. As a home or business premises owner, you need to look for any smelly odor coming from the black mold growth behind the wall, ceiling, or basement. If you let the black mold spores or dry rot to remain in your building, you will undoubtedly find it quite expensive to restore your house later, so you should act as soon as the water damage happens. Visit http://www.SERVPRObufordsuwaneehamiltonmill.com for more information on mold. In Hamilton Mill, GA, a winter storm is inevitable. Storm damage, however, is not. The right amount of preparation helps minimize or avoid weather-related problems at your commercial property. 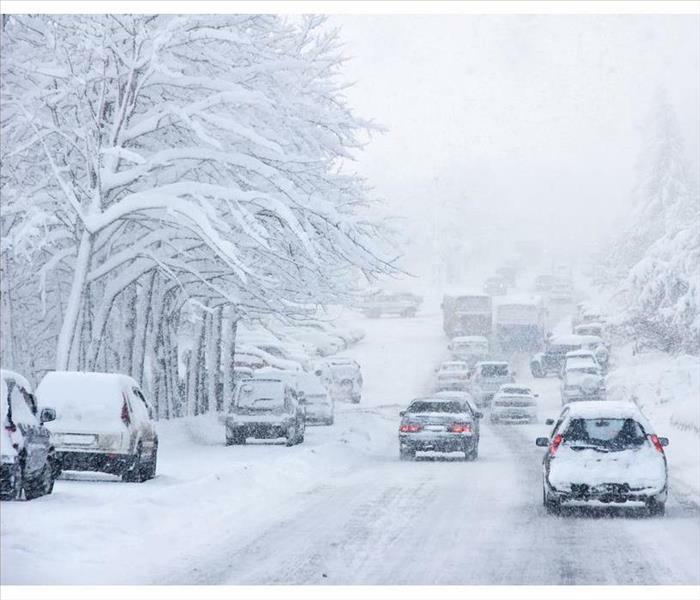 Here are some tips for protecting your business during this cold, snowy season. To avert ice dams, ensure that there is adequate insulation, ventilation and sealants. During a storm, a snow rake is an effective tool for removing snow from the roof. Consider having a professional eliminate snow and ice from the rooftop when the snow load reaches 20-25 pounds per square foot of space. Protect against a pipe break by sealing exterior spaces that allow cold air inside, insulating pipes, letting faucets drip in freezing temperatures and keeping interior temperatures above 55 degrees. Flooding occurs when temperatures rise, especially when rain expedites melting snow. Maintain drain and gutter systems by removing debris before winter. Landscape the ground to slope away from the building and seal any foundation cracks. Do not allow snow to pile up against the building structure. Before winter storm season in Hamilton Mill, GA, maintain your commercial building at regular intervals. When temperatures drop, carefully monitor the weather forecast and take necessary precautions to prevent storm damage. Sometimes, severe weather causes destruction that is not preventable. In those instances, the best course of action is not to delay. Contact a storm restoration professional that is Faster to Any Size Disaster to mitigate and prevent secondary damage. While finding mold growth in your Buford, GA, home can be distressing, you usually have options for cleaning it in a way that prevents it from returning. However, when mold starts to develop in places you cannot see, it can grow into a serious infestation before you notice its presence. If you want to kill mold in your home before it takes hold, it is wise to check out a few locations where it commonly hides. Even small leaks, such as those that might seep from your refrigerator’s water line if it includes an automatic ice maker, can encourage mold growth in nearby walls. Drywall can be particularly affected because it is porous and absorbs water. Once moldy drywall and insulation develop, they must be torn out and replaced to prevent further growth from occurring. Mold requires moisture and humidity to grow and spread. This makes the areas under your bathroom and kitchen cabinets vulnerable, especially in far corners that can be difficult to see. It is a good idea to check these spaces often, especially in humid weather, and leave the cabinet doors open for a few hours a day so the wood and other building materials inside can breathe. Your home’s basement makes a perfect hiding space for mold growth, especially if it tends to be damp all year round. Mold spores do not require sunlight to grow or spread, so spores that detach when you move stored belongings around can travel through your home’s air ducts and attach to wood and drywall in other parts of the house. Since mold on wood can be difficult to remove once it takes hold, consider calling in a mold removal and remediation service to inspect your home if you suspect a problem in your basement. Hidden mold growth in your Buford, GA, home can be disastrous if it is not caught in time. Checking potential hiding spots often is one way to avoid this issue and to prevent future infestations. Why Do Steel Braided Water Supply Lines Break? If you have discovered a water leak under a sink or behind an appliance at one time or another, you are no alone. According to experts, a water supply leak is found by thousands of individuals each year. Though the leaks may take you by surprise, they are more frustrating when the tubing that ruptured was supposed to have a lifetime warranty. Hoses causing supply line damage are generally hidden, and that can be the root of the problem. Why Do the Lines Break? Stainless steel is a high-end choice for plumbing lines in modern homes and typically replaces the more common plastic tubes. While it is not widely known, stainless steel reacts with chemicals in household water. That means the lifetime guaranteed steel braided water supply lines are probably not going to last a lifetime, and supply line damage will probably occur just a few years after it is installed. The problem is chromium. Stainless steel has chromium added when it is created to help resist the corrosive influence of oxygen in the water. However, chromium is highly reactive to chlorine, and therein lies the problem. When the common household cleaner dissolves into the humid air of your home, it can attack the tubing because hydrochloric acid is formed. Sadly, even the strongest stainless steel is not immune to the acid, and a bathroom leak can occur. If you find a leak caused by a water line, call in a professional water mitigation team. The professionals can provide you with the latest replacement plumbing lines that technology has to offer. They can also help you clean up any supply line damage in your home and check for lingering mold that may have grown. Be kind to your home and check the water supply lines twice a year. Find the leaks early and save yourself the headache of an extensive home repair. 4/9/2019 - Mold: What Is It and How Should It Be Handled? 3/19/2019 - Document Restoration 101: What Can It Do for You? 1/15/2019 - Why Do Steel Braided Water Supply Lines Break?